How do you know your food is safe to eat? This isn’t a question many of us often ask ourselves. But lately, food safety has been in the public eye: 2018 has already seen a large outbreak of E. coli in romaine lettuce and Salmonella in a number of products from eggs to breakfast cereal. Today, Walmart and Sam’s Club sent a letter to suppliers of fresh, leafy greens asking them to trace their products all the way back to the farm using blockchain technology. Suppliers are expected to have all these systems in place by this time next year. Read Walmart’s open letter to suppliers. This change means that the information gathered by these suppliers will be open and accessible through technology that offers real-time, end-to-end traceability from farm to table. Blockchain allows for digitized sharing of data in a secure and trusted way. What happens when the food you buy has been identified as having Salmonella or E. coli? You may not know where or how your Caesar salad was affected. You just know you don’t want your family to get sick when eating it. 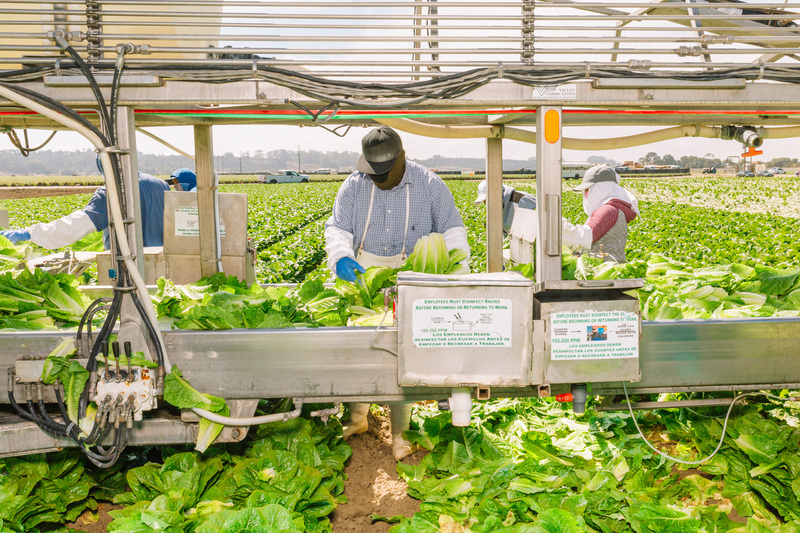 This year, many customers and grocers were forced to throw away large amounts of romaine lettuce when an E. coli contamination in romaine lettuce spread through the food industry. Health officials at the Centers for Disease Control told Americans to avoid eating lettuce that was grown in Yuma, Arizona. 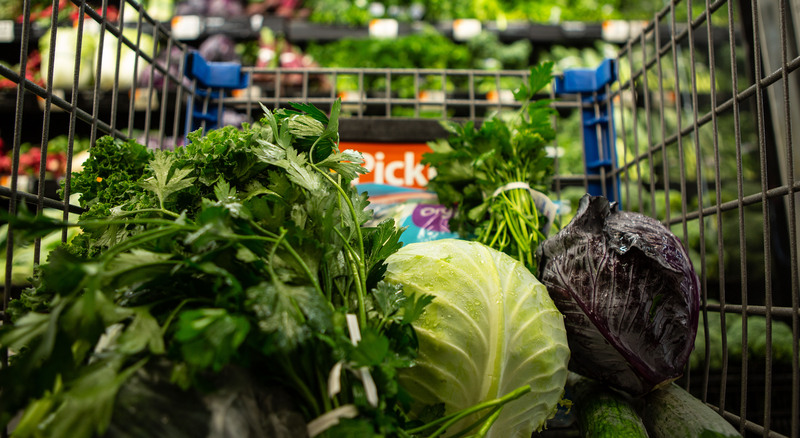 “But it was difficult for consumers to know how to determine where their lettuce was grown,” explained Frank Yiannas, VP of Food Safety at Walmart. It’s crucial to respond quickly and accurately to food safety issues like these. But with the traditional paper-based method of capturing information that exists at many farms, packing houses and warehouses, tracking down important data from multiple sources is extremely time-consuming. At the farm, the lettuce is planted in a field; it grows, and a farmer harvests it. The next step sends the head of romaine to a processing facility where it gets washed, sliced and bagged. Next, it’s transported to a distribution center where it’s sorted and placed on trucks for delivery. Once the store receives the lettuce, associates unload it from a truck and immediately move it to a cooler where it is taken to the sales floor. From the sales floor, the lettuce is either put in a customer’s cart or selected by a personal shopper for grocery pickup or delivery. Now, the customer gets to eat the romaine lettuce in his or her favorite recipe. Multiply this process by the 70,000 food items stocked in a typical grocery store, and you have an almost insurmountable challenge. Now, Walmart plans to use the power of blockchain to speed up identifying, researching and reacting to food safety situations. Today’s news is the first step of bringing the benefits of open and transparent information to the food industry. What is Blockchain, and Why is it Important? Blockchain is a system of recordkeeping that is open to users. When a piece of permissioned information (or “block”) gets entered into the chain, other computers in the network are notified. This makes falsifying information very difficult, because the change of information is open for all to see. Think of these blocks of information as railroad ties. To place a tie on the ground, agreement is needed by all the civil engineer, the foreman and so on. Once the tie is placed on the ground, the rail the train travels on is placed on top. The tie is the block. The rail is the chain. That’s the basic concept of blockchain. Now, imagine trying to remove and alter one of those railroad ties. It’s not that simple. The tie can’t be altered without stopping trains, removing the rails, getting agreement from the civil engineer, and so on. Plus, everyone can see that you’re altering the railway, so you better make sure you get it right. There is a lot of accountability. That’s what it is like to attempt to alter information in the blockchain. The information is out in the open creating greater transparency to changes. With increased accessibility comes more accuracy and trust. This accuracy and trust is extremely important when both public health and livelihoods are on the line. Instead of taking a week to hunt down information about potential Salmonella in a product, blockchain tracking takes only a couple of seconds. This gives food safety teams and customers alike the ability to react quickly. In fact, the Centers for Disease Control believes that this change will help make more effective recalls. Enhanced ability to trace a contaminated food back to its source will help government agencies and companies to identify the source of a foodborne disease outbreak, coordinate more effective recalls of foods thought to be contaminated, and learn where past problems began. We think these steps will strengthen future prevention efforts and better protect the public’s health from the threat of foodborne illness. Walmart’s new requirement is about making food safer throughout the supply chain. Making information available in the interest of public safety is a step change for the industry. But it matters to everyone.